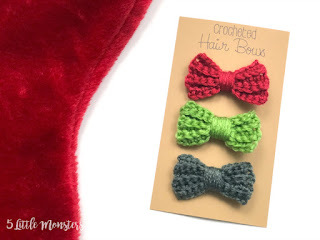 I would pair it with some smelly soap or body wash, maybe even tie the two together with a ribbon before putting them in the stocking. 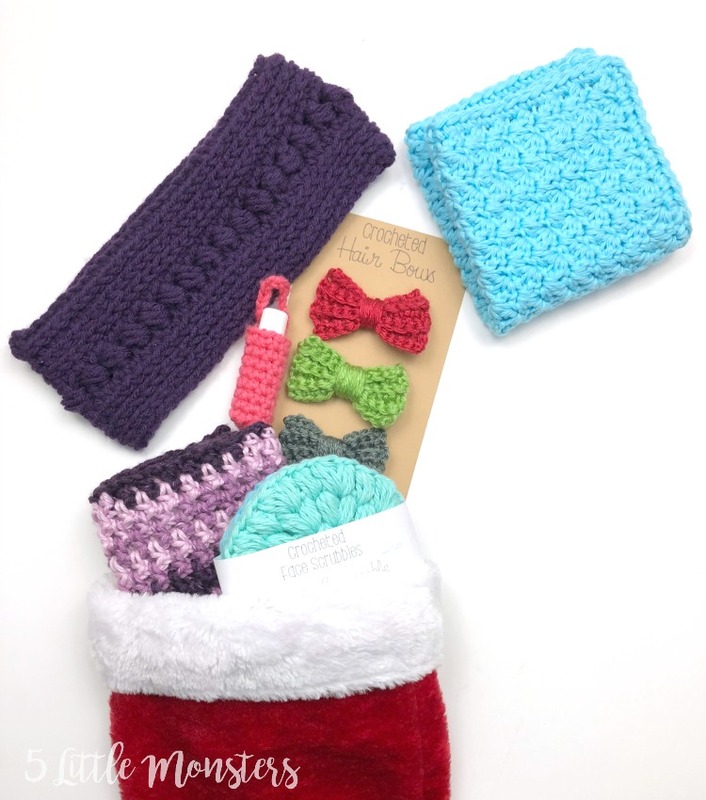 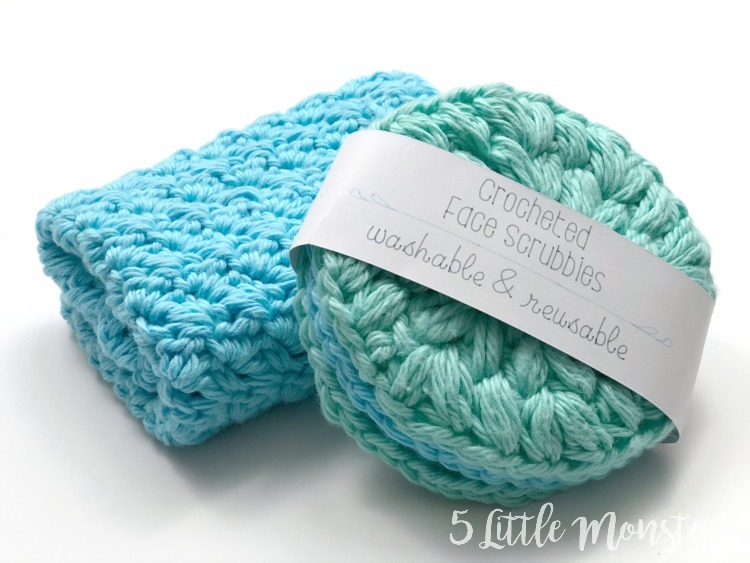 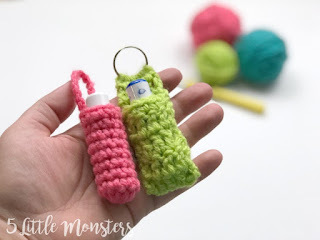 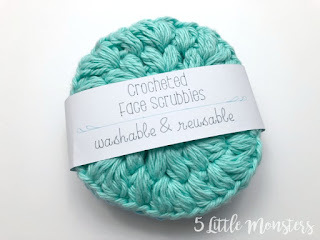 You could also make a washcloth set with 2 or 3 washcloths in coordinating colors. 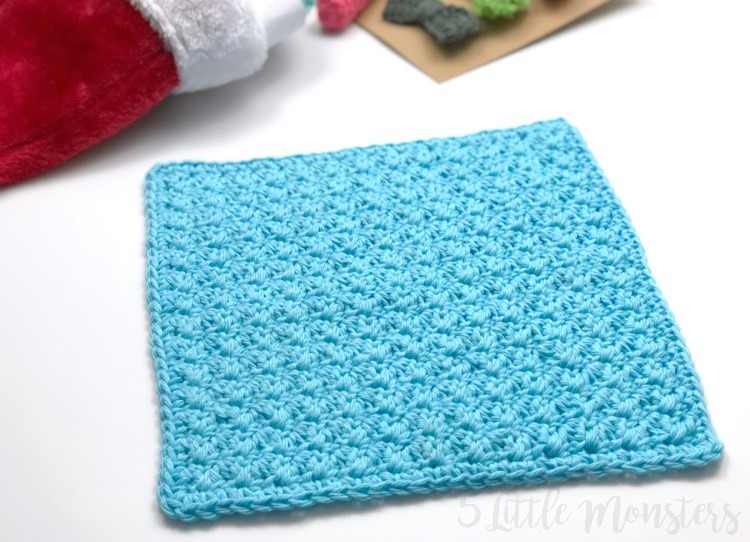 For this washcloth I used a stitch that I learned as the Grit Stitch. 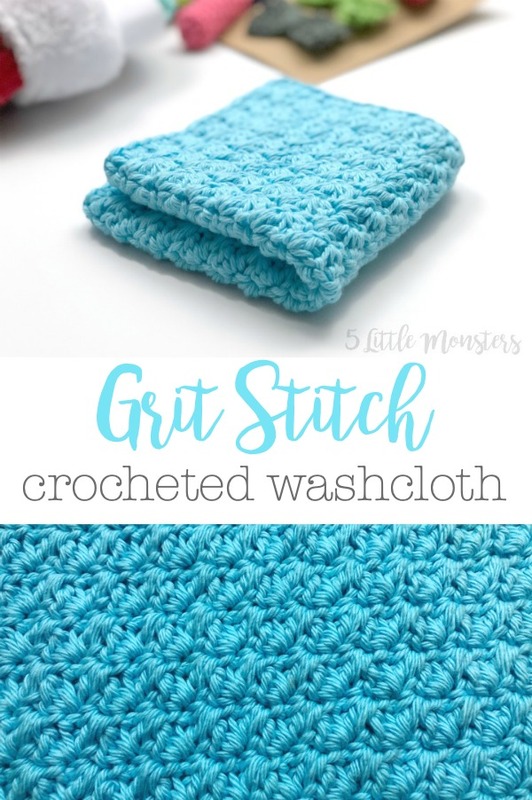 I have also seen it called the Suzette Stitch, and I have seen the Grit Stitch refer to something completely different. 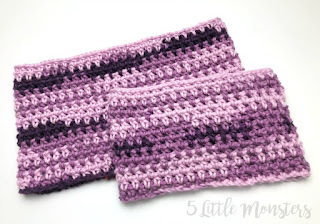 Crochet stitches are funny that way, one stitch can have several names, and one name can sometimes refer to more than one stitch. 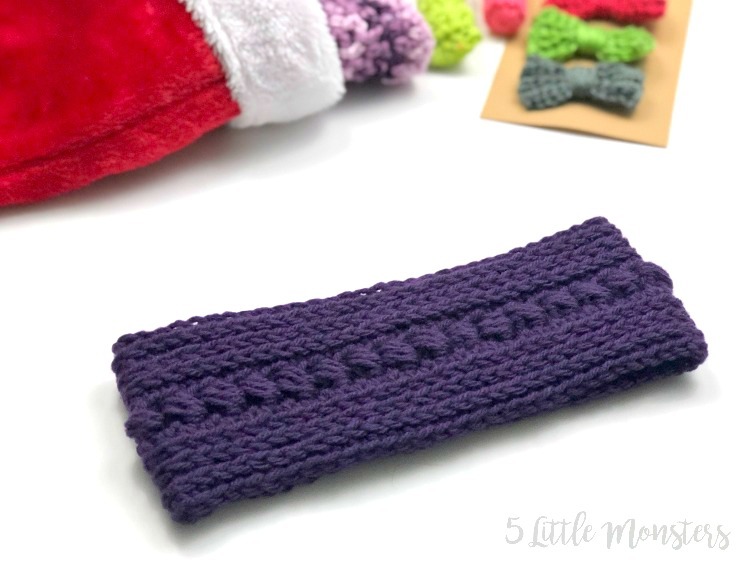 Whatever you call it it is a pretty easy stitch to make and I love the texture it gives. 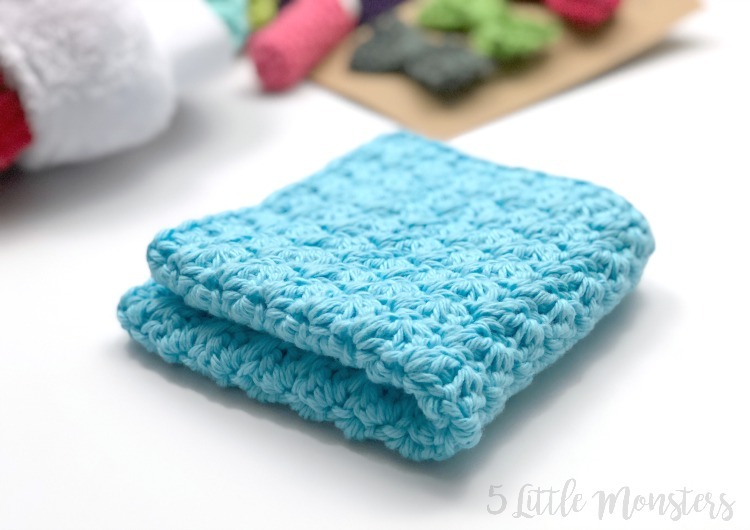 Stitch pattern requires a multiple of 2 +1, +1 for turning, if you would like to make your washcloth larger or smaller you will need to add or subtract a multiple of 2 from your starting chain.